- 500 Questions (1x07/s01e07) [+] [+] [+] [abc]. - Bones (10x20/s10e20) [+] [+] [+] [FOX]. - Wayward Pines (1x03/s01e03) [+] [+] [+] [+] [FOX]. 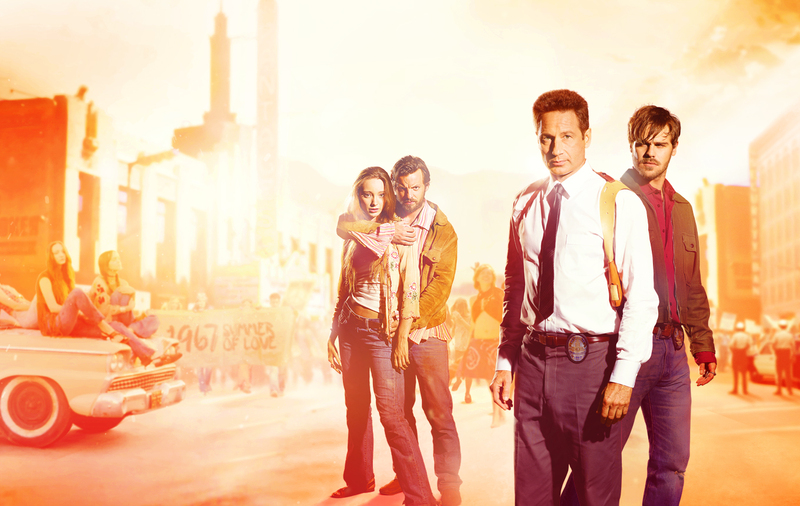 - Aquarius [US] (1x01/s01e01 y 1x02/s01e02) [+] [+] [+] [NBC]. - Louie (5x08/s05e08), The Road, Part 2 [+] [+] [+] [FX]. - The Comedians [US] (1x08/s01e08) [+] [+] [+] [+] [FX]. - Maron (3x03/s03e03) [+] [+] [+] [IFC]. - 3AM (1x01/s01e01) [+] [+] [Showtime]. - The Ultimate Fighter (21x06/s21e06) [+] [+] [+] [FS1]. - Olympus (1x08/s01e08) [+] [+] [+] [SyFy]. - The Soul Man (4x11/s04e11) [+] [+] [TVLand]. - The Soul Man (4x12/s04e12) [+] [+] [TVLand]. - Lip Sync Battle (1x10/s01e10) [+] [+] [+] [SPIKE]. - Little Women: NY (1x10/s01e10) [+] [Lifetime]. - Mystery Diners (10x02/s10e02) [+] [food network]. - Monument Guys (1x04/s01e04) [+] [+] [HISTORY]. - The Prancing Elites Project (1x06/s01e06) [+] [oxygen]. - Air Pressure (1x02/s01e02) [+] [+] [Discovery Channel]. - Fake Off (2x04/s02e04) [truTV]. - Dead End Express (1x04/s01e04) [+] [National Geographic Channel]. - Sing It On (1x03/s01e03) [+] [Pop TV]. - Rookie Blue (6x02/s06e02) [+] [+] [+] [Global]. - Wentworth (3x08/s03e08) [+] [SoHo]. - Kinne (2x06/s02e06) [+] [7mate].